I finally made it out to the Rose Bowl flea market last Sunday! With so many activities to do this summer, I barley had time to do any personal shopping for myself. So last sunday, I decided to treat myself to a sunday flea market adventure in Pasadena! I always have so much fun discovering unique finds and meeting interesting vendors with great stories to share! Here's a glimpse of what is like. 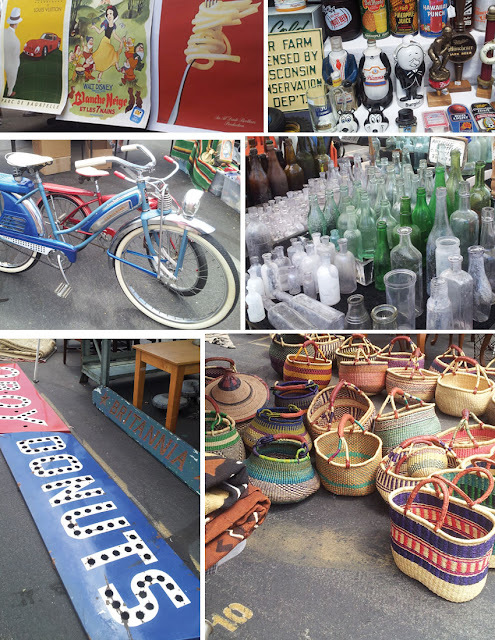 If you love finding rare vintage goods then Rose Bowl flea market is the place to be. This is the place to find everything from obscure pieces of furniture to a vintage dress! It happens the second Sunday of every month. This place is HUGE so be prepared to walk alot and wear comfortable shoes! It was a super hot sunday in Pasadena. It was at least 100 degrees so I decided to cut my adventure short and spent most of my time at the antique section of the flea market. To my surprise, I was super excited to find a lady that was selling vintage kimonos. It was from her own personal collection that she no longer had any use for. She mostly had Meisen Kimonos, and it happens to be one of my favorites! 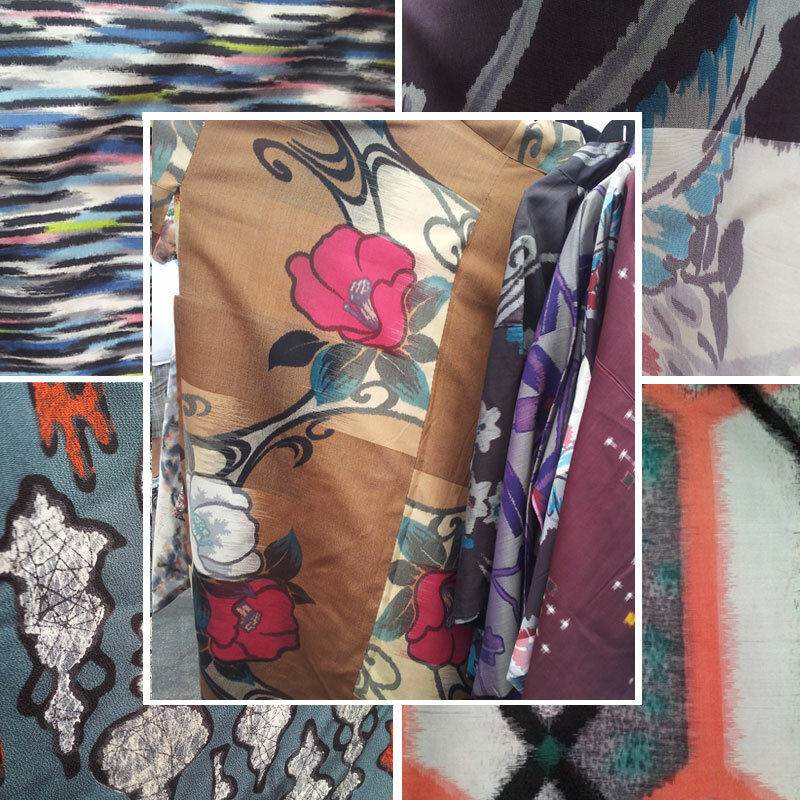 The detailing on Meisen is very similar to that of ikat fabric. The patterns are so beautiful and the colors are bold and colorful! It was such a treat to meet another person that appreciate the beauty of kimono. She gave a sweet deal when I told her that I will be using them in my upcoming handbag collection! 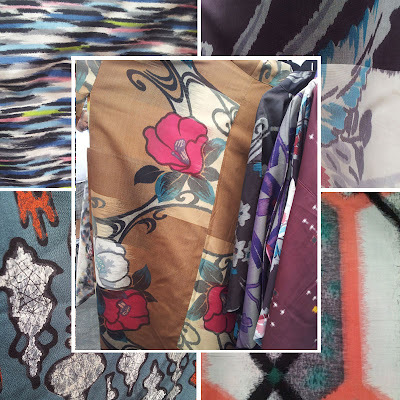 Here's a peak at some of the patterns that caught my eyes. Can you guess which kimono came home with me? I hope you enjoyed reading this, and want to check out Rose Bowl for yourself!